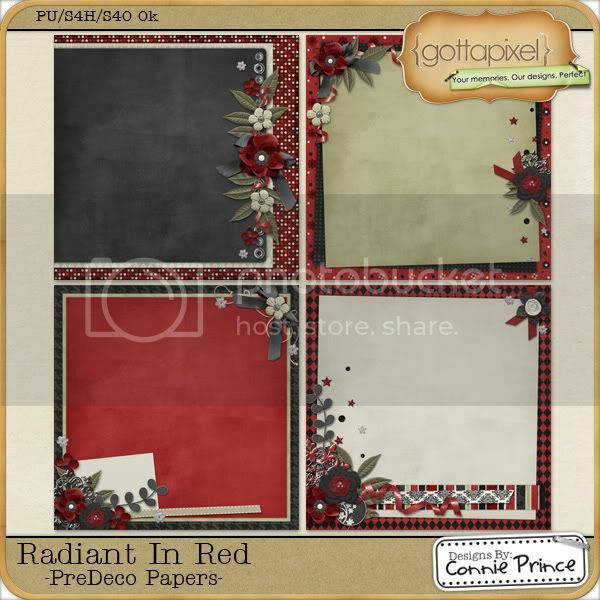 Connie Prince Digital Scrapbooking News: Gotta Grab It is HERE plus a matching FREEBIE! 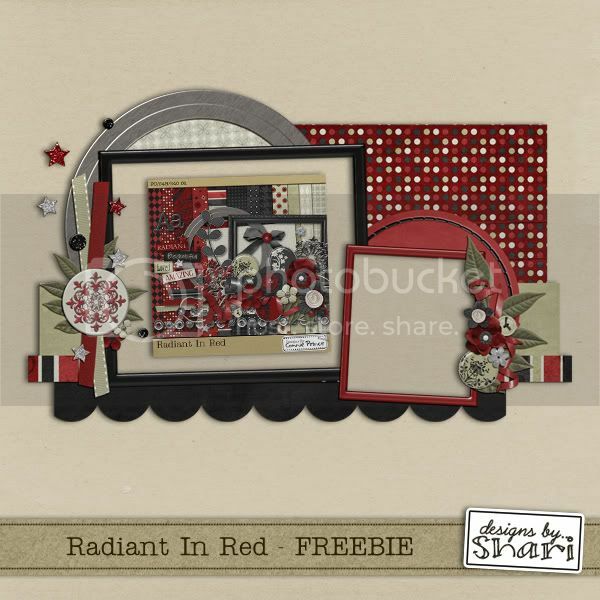 Gotta Grab It is HERE plus a matching FREEBIE! Gotta Grab It is HERE! That super special time of the month when the Gotta Pixel designers create yummy goodies for you using the same swatch. 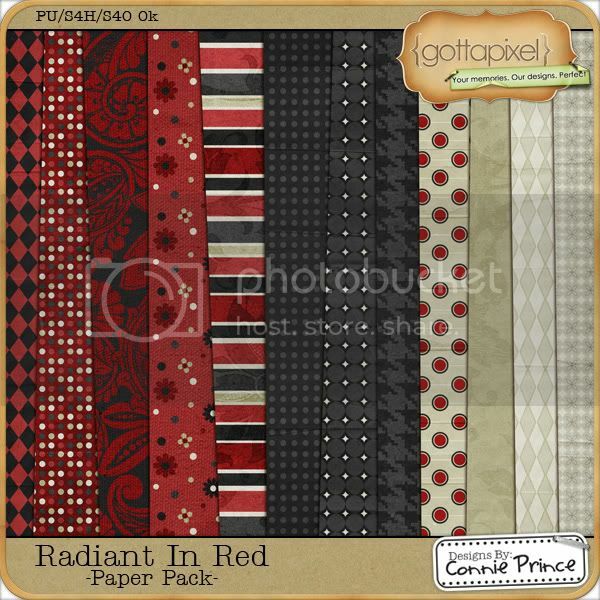 Connie has FIVE amazing packs for you at only $1 each! 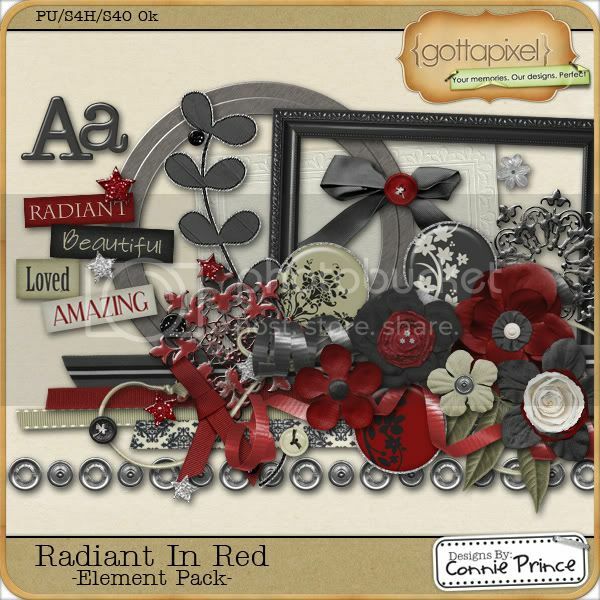 What a deal - and these packs are GORGEOUS - you won't be able to resist! 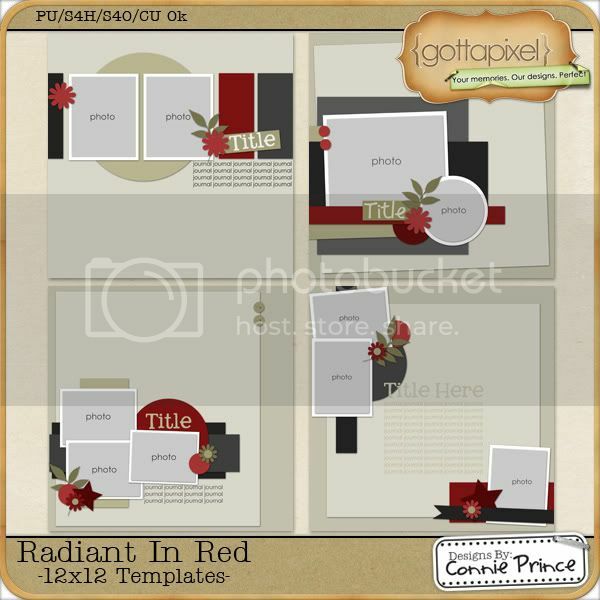 Introducing RADIANT IN RED ... make sure to read through to the bottom of this post for a matching freebie from me! Connie's CT has truly outdone themselves with this kit ... I'm going to be showing off their fabulous layouts for days!! First up is a beautiful layout from guest CT member Ophelia. And now here is your freebie! 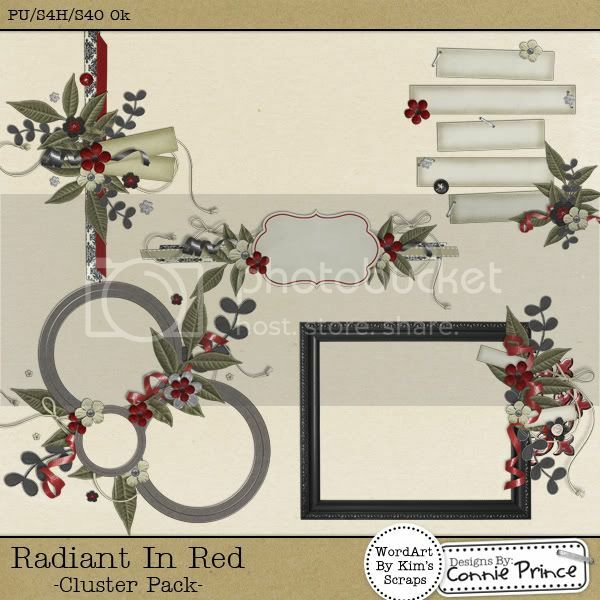 I made you a cluster using Connie's For the Love of Layers series and Radiant in Red. I hope you like it! Thank you so much for this post. I want to let you know that I posted a link to your blog in CBH Digital Scrapbooking Freebies, under the Page 1 post on Dec. 11, 2010. Thanks again. I LOVE this kit!! I was so glad to see a kit that wasn't traditional Christmas (even though I appreciate those too!) that I had to nab it. Thanks Connie for the awesome kit and Shari for the freebie. Shari thanks for the freebie and Connie thank you for once again a very beautiful kit! Thank you Connie for the freebie! I purchased all five parts. They are all beautiful. Just to let you know, the cluster pack isn't listed for $1.00. It is listed for I think it was $1.87. It still didn't matter to me, though. Like I said I purchased all five pieces. Thanks again and happy holidays to you and your family!!! Thank you I love this kit! I'll have to come up with something to do with it. Thank you for the freebie!